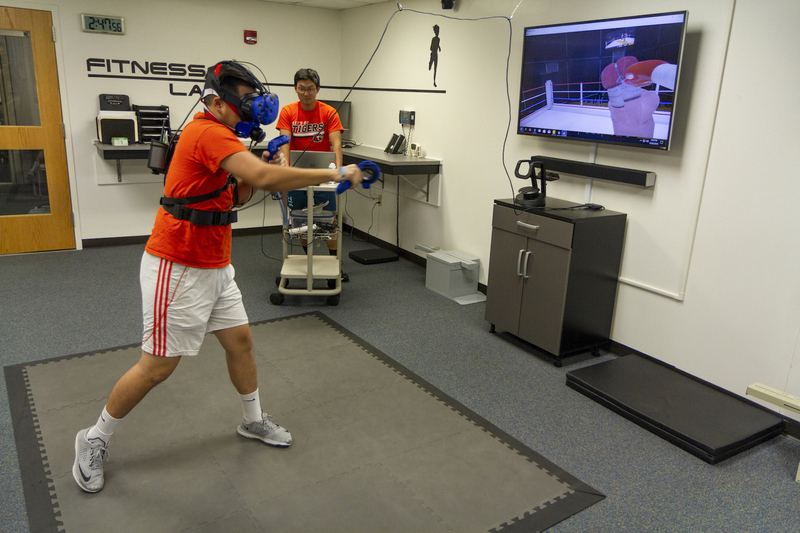 As an exercise science major you will learn to scientifically address issues of health and fitness as well as human performance as part of a rapidly growing field. A clinical track focuses on helping people recover from the unhealthy effects of a sedentary lifestyle and an athletic track focuses on training athletes to extend and expand their capacity for exceptional human performance. RIT’s exercise science program is a bachelor’s degree requiring the completion of 120 academic credits. This includes 65 credits in the liberal arts and sciences, six elective credits, and 49 credit hours of course work specific to exercise science. The degree is designed to be completed in four years and is offered at RIT as an on campus learning experience. The program also offers clinical and athletic tracks. The clinical track is designed for students interested in using exercise as therapy. Clinical exercise medicine is an emerging field that is poised to grow as the population ages. This field is for students who see the opportunity to provide exercise/fitness services as an integrated medical service. With an entrepreneurial spirit, students prepare themselves to become the newest practitioners in the health care field. Clinical exercise physiologists perform fitness assessments, design exercise prescriptions, and implement therapeutic exercise programs for health promotion. The athletic track is for students who want to raise the bar of performance for athletes at all levels. A scientific approach to athletic conditioning improves performance while maintaining the health of athletes. Athletic track courses allow students to learn how to better train and maintain athletes, especially those performing at intense levels of competition. Skilled strength and conditioning specialists are in demand at all levels of sports and the prevalence of private sector sports specific training facilities has never been higher. Students interested in a career to train athletes and enhance the capabilities of those who play sports will be well prepared to advise and guide the next generation of athletic performers. Acquire the knowledge, skills, and abilities required for successful completion of an advanced certification with an organization accredited by the National Commission for Certifying Agencies (NCCA). Examples include the American College of Sports Medicine (ACSM), Certified Exercise Physiologist, and the National Strength and Conditioning Association (NSCA), Certified Strength and Conditioning Specialist. The exercise science minor is designed to prepare students to take an accredited certification exam and to become a professionally credentialed personal trainer. The minor is open to all RIT students, except those majoring in exercise science. For more information, including curriculum requirements, please visit the exercise science minor page. Completion of the certificate in exercise science prepares you for employment as an entry-level service provider in a fitness facility. To enroll in the certificate program, you do not need to be a matriculated student at RIT. The certificate requires the completion of three courses. For additional information, including curriculum and admissions information, please visit the exercise science certificate program page. Students who complete the athletic track are prepared to achieve professional certification through the National Strength and Conditioning Association (NSCA) as a Certified Strength and Conditioning Specialist (CSCS). The CSCS is a highly respected and sought-after credential in the field of strength conditioning. Students completing the clinical track are well prepared to take the American College of Sports Medicine (ACSM) Certified Exercise Physiologist exam. This certification validates the knowledge, skills, and abilities of fitness and exercise practitioners who are prepared to work with people diagnosed with chronic disease. Student Spotlight: Why study exercise science? With a leap of faith, Rachael (Gardner) Aho transferred to RIT before the exercise science BS degree was officially in place. In her senior year, Aho became the first student to enroll in the program. This course will provide first-year exercise science students with a strong foundation for a successful transition to university life. The course will introduce them to key personnel and resources essential for academic and personal achievement at RIT. 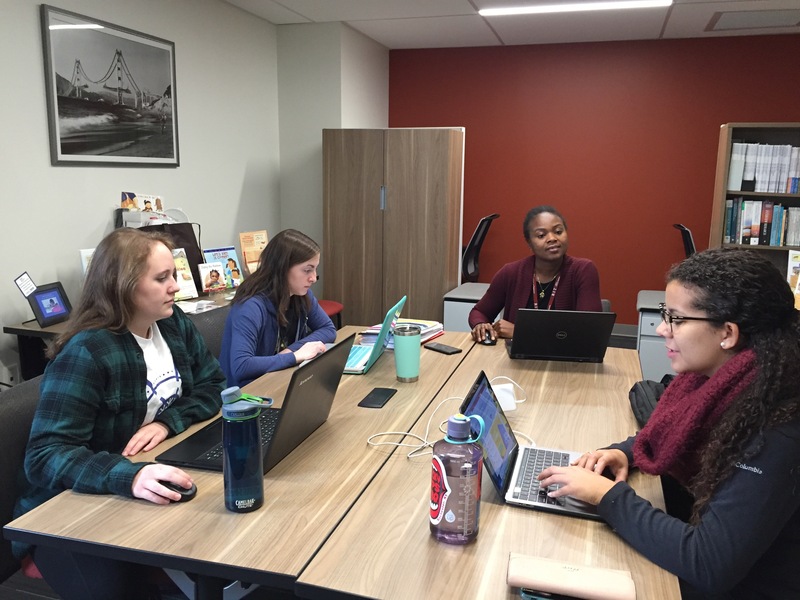 Students will also develop a peer-based learning community with group projects centered on exercise science. Exercise Physiology is the scientific basis for the field of exercise science. This course provides students with an opportunity to deepen their understanding of the body’s responses and adaptations to exercise. Neuromuscular physiology is reviewed along with energy systems and mechanisms of fatigue. The cardiorespiratory system is examined with a focus on control and regulation during activity and there is a look at the physiological components of exercise training. Environmental factors that impact sport activities as well as training techniques which optimize performance will be reviewed. The differences in performance and adaptation that exist between children, adolescents, and adults as well as between males and females will be compared and contrasted. Exercises influence on long term health and fitness will conclude the course. Laboratory experiences will allow students to integrate and apply the concepts of exercise physiology through investigative experiments.